Natural lighting offers many benefits over artificial lighting. It makes your indoor spaces look bigger, and it even has health benefits. Natural lighting can be incorporated into your kitchen or bathroom remodeling without making some drastic changes. Check out the following tips. Eaves are not as visible from either the curb or the indoors. Nevertheless, eaves are perfectly angled to reflect ambient natural light into your home. By painting them white, the eaves can add a soft yet noticeable glow that enhances natural lighting around the windows. Plus, white eaves blend well with every color palette. They won’t look out of place no matter what roof, siding and trim colors you have. The right window styles can dramatically change the amount of natural light that can get into your home. A kitchen remodeling project, for instance, can benefit from large windows with slimmer frames. Many homeowners hesitate to choose bigger glass areas because, thanks to ultraviolet (UV) and infrared rays, direct sunlight fades fabrics and furniture, and makes indoor spaces hotter. The solution is to choose replacement windows fitted with glass packages that feature low-emissivity (Low-E) coatings. This metallic coating selectively blocks UV and infrared rays while letting visible light through just like clear glass. When choosing replacement windows, check the energy performance ratings on the label. Look for low solar heat gain coefficient (SHGC) values and high visible transmittance (VT) values. Choosing white or something as light as the dominant interior color increases the reflectivity in your interior space. It also lets you work in dark trim and window frames to add dimension without sacrificing reflectivity. Plus, white interiors work with just about any furniture color, giving you more latitude with your furniture selection. Mirrors and other reflective surfaces likewise enhance natural lighting and work especially well in small areas like bathrooms. 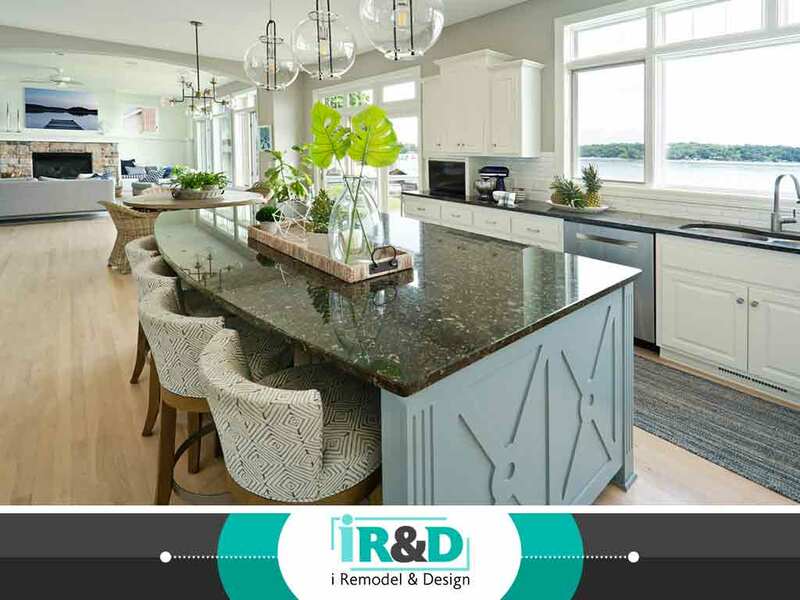 To learn more about incorporating natural lighting or if you would like to know more about our other services, including basement remodeling, call i Remodel and Design today at (703) 634-7003. You can also fill out our contact form to schedule an appointment. We serve Great Falls, VA, and surrounding areas.